“Es steht gegenwärtig allen Wissenschaften eine Wiedergeburt in Ansehung ihrer Begriffe und der Geistlosigkeit bevor, die wissenschaftlichen Inhalt in bloßes Material verwandelt und die Begriffe, deren sie zu handhaben gewöhnlich nicht einmal weiß, unkritisch und bewußtlos handhabt” (G.W.F. Hegel, 1807). This essay-review presents and discusses relevant recent contributions to the science-philosophical and methodological discourse within the discipline of software engineering, about the scientificness of this discipline, also in comparison to other, related disciplines. The main problems in this context are exposed and explained especially for those readers who are not software engineers themselves. Thanks to the students of my Software Engineering seminar in 2008 at the University of Pretoria for interesting discussions on the context of this article. Thanks also to Tom Maibaum for inspiring conversations during the ICFEM International Conference on Formal Engineering Methods in Kitakyushu, Japan, October 2008. Also the fruitful discussions with my colleagues Derrick Kourie and Morkel Theunissen are gratefully acknowledged. I also thank Markus Roggenbach for an example which I have used in Sect. 3. Last but not least thanks to the editors and reviewers of this journal for their thoughtful feedback and helpful comments on the earlier drafts of this contribution, as well as to the production office for their professional typesetting of the manuscript. Armour, P.G. (2006). The Business of Software. Communications of the ACM, 49/9, 15–17. Bergin, T.J. (2007). A History of the History of Programming Languages. Communications of the ACM, 50/5, 69–74. da-Cunha, A.D. & Greathead, D. (2007). Does Personality matter?—An Analysis of Code-Review-Ability. Communications of the ACM, 50/5, 109–112. Feitelson, D.G. (ed.) (2007). Experimental Computer Science. Communications of the ACM, 50/11, 24-59. Floridi, L. (1999). Philosophy and Computing: An Introduction. Routledge. Florman, S.C. (1996). The Introspective Engineer. St. Martin’s Griffin. Fujita, H. & Pisanelli, D. (eds.) (2007). New Trends in Software Methodologies, Tools and Techniques. Proceedings of the 6th SOMET Conference. IOS Press. Glass, R.L. (2007). One Man’s Quest for the State of Software Engineering’s Practice. Communications of the ACM, 50/5, 21-23. Jeffries, R. & Melnik, G. (Eds.) (2007). Test-Driven Development. IEEE Software, 24/3, 24– 83. McBride, M.R. (2007). The Software Architect. Communications of the ACM, 50/5, 75–82. 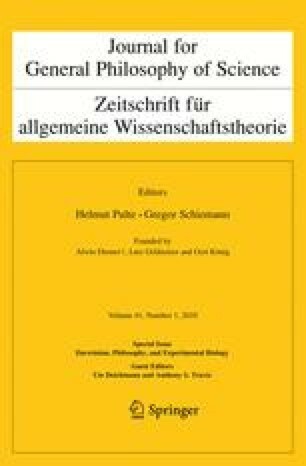 Rajlich, V. (2006). Changing the Paradigm of Software Engineering. Communications of the ACM, 49/8, 67–70. Sugumaran, V. & Park, S. & Kang, K.C. (eds.) (2006). Software Product Line Engineering. Communications of the ACM, 49/12, 28–89. Turski, W.M. (2000). Essay on Software Engineering at the Turn of the Century. Lecture Notes in Computer Science, 1783, 1–20. Vincenti, W.G. (1993). What Engineers Know and How They Know It: Analytical Studies from Aeronautical History. Johns Hopkins University Press.